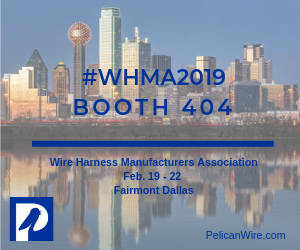 Pelican Wire is excited to exhibit for the first time at the 2019 WHMA Conference in Dallas, Texas. Please visit us at Booth 404 and meet our Business Development Manager, John Niggle, who will be available for interesting conversations on custom wire solutions, but is also well-versed in random trivia and enjoys sharing tales of his favorite places to eat bacon. For additional details, please contact our sales team at (239) 597-8555 or Sales@PelicanWire.com .